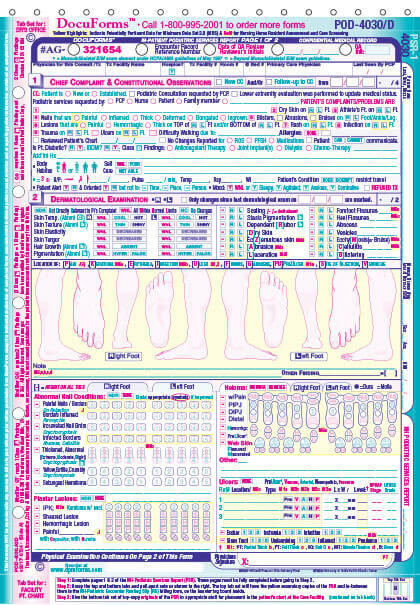 DocuForms’ POD-4030 Podiatric Nursing Home Report is designed for easy completion at the facility. Both pages of this thorough report produce a carbonless copy. The original stays at the facility, the copy goes back to the office with you. 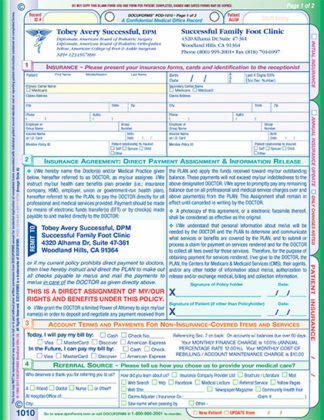 The form also includes a routing form that goes back to your office for processing billing. 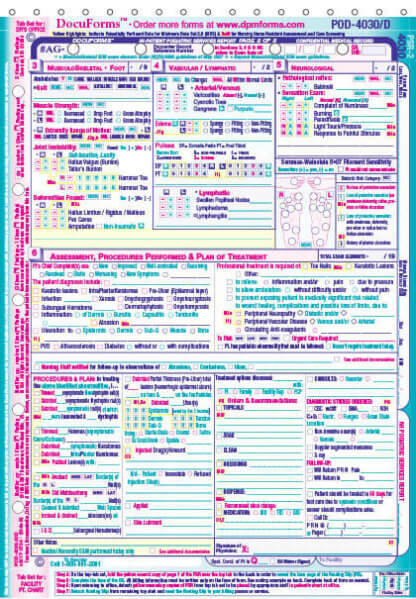 • Generate better-detailed charts that firmly support your billing. • Protect yourself from audits by Medicare, and from claims of fraud and abuse. 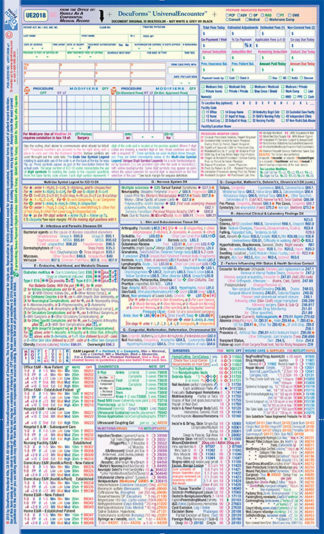 • Reduce your time spent on documentation. • Minimize your cost of documentation. • Feel secure about compliance with the latest documentation requirements. • Be recognized for all the services you provide and actually get paid for them. 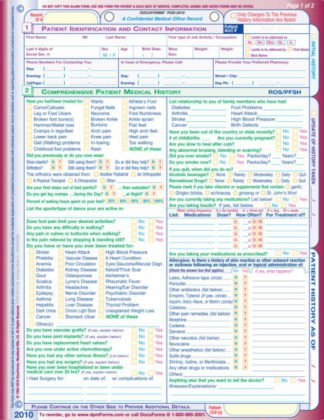 This form is here to help. 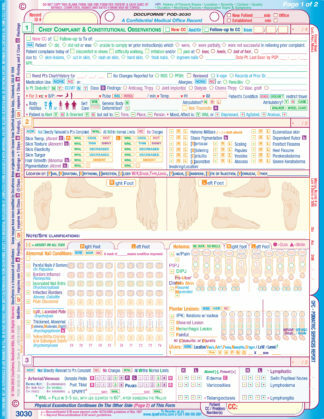 It has everything you need to effectively document and bill nursing home, hospital and home visits. 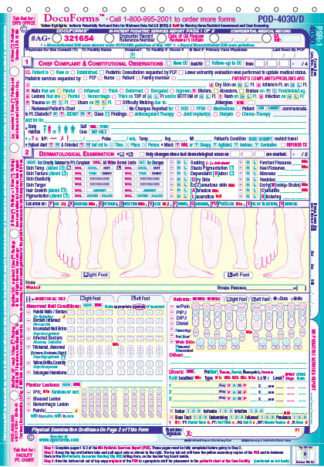 • An exam that follows the latest published guidelines from Medicare HCFA/AMA for medical documentation. • An Exam that guides you, the doctor, to supply the required information in the format Medicare expects. 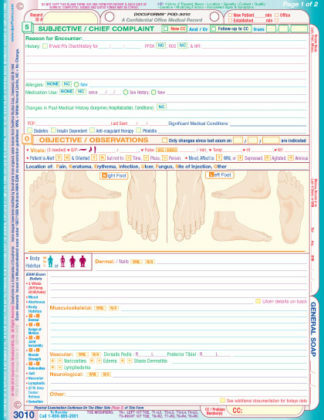 • Detailed orders to nursing staff that you customize with minimal writing.